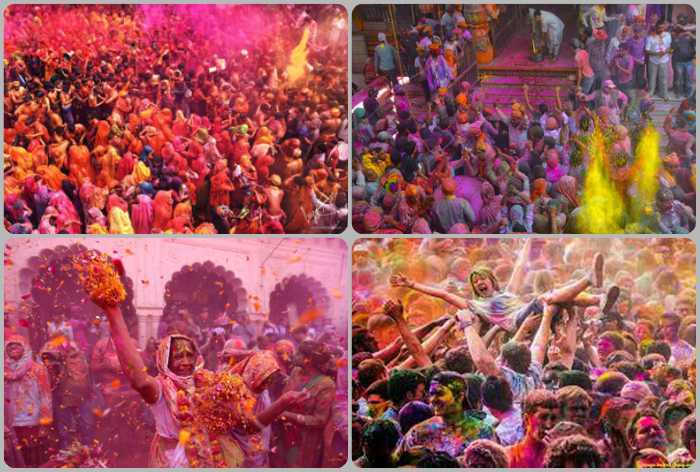 Looking forward to the upcoming long Holi weekend but still unable to plan where to go? 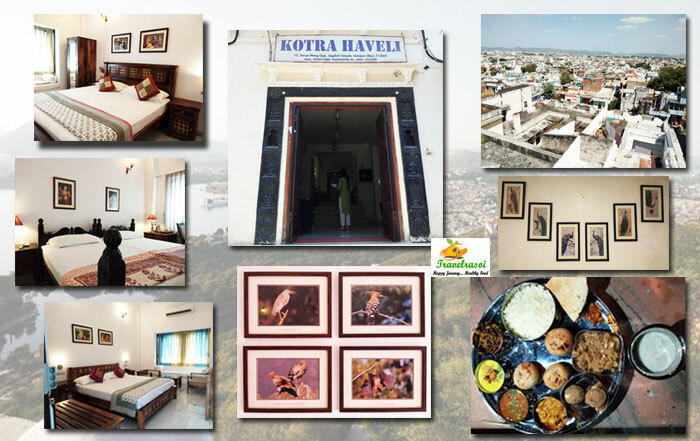 Well, Shri Radha Brij Vasundhara situated in Govardhan gives you more reason than one of why visiting this place could be the best choice to celebrate your 4 day long Holi weekend this year. Though I could not time my visit to the resort during the holi celebrations, I had personally been here to get mesmerised by the look and feel of the place. 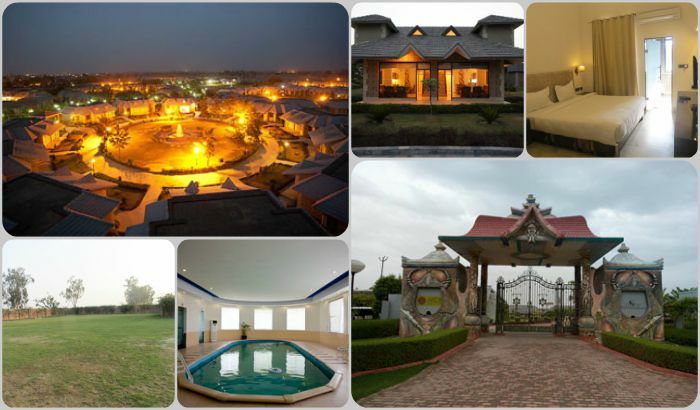 Spread over 25 acres of land, Shri Radha Brij Vasundhara – The Resort & Spa is strategically located in the heart of Govardhan town on the Parikrama Marg overlooking the Govardhan Parvat (hill). 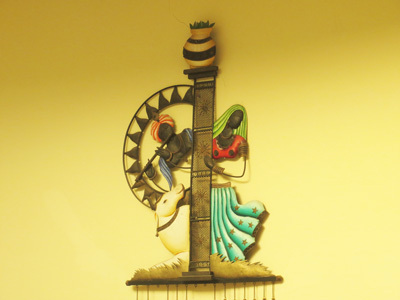 Part of the Shri Group that has been in the Real estate business, the property takes pride in providing a home like environment for the devotees and guests who come to the land of Krishna to seek his blessing. It is not just the location that will awe you but you would also love the inside of the property. It has a unique design of that of a tree, with its pathways and the entrance outlined in the shape of 10 branches or clusters. Each cluster is named after a river; we happened to stay in the Tungabhadra cluster during our visit to the property. Interestingly, 70% of the property is green, with construction being done on only 30% of the property land. A ring road is also under construction around the Govardhan area which once ready will make the place directly accessible to Jaipur. Tucked away in the middle of lush greenery, putting up in one of the cottages while on a holiday would surely be an exhilarating experience. The property has 250 cottages. When the wedding season is not on, the resort uses only 30 cottages that are on permanent lease and are mostly sold out during weekends. But during the wedding season, the resort uses 50 cottages that can accommodate close to 300 people. Since all of them are 2 bedroom cottages, the total number of rooms comes up to 100. 10 cottages have recently been renovated and have been categorised as 1 bedroom and suite. Because of the interconnecting door in between, guests can either opt for 1 bedroom or take the complete suite. The rest of the 40 cottages are two-bedroom that do not have the interconnecting door. The remaining cottages of the property are either sold off or are put on rent. It is a dream-come-true for many to get married at a destination that exudes spirituality and divinity, especially if it is located in a place of religious significance. Shri Radha Brij overlooking the sacred Govardhan hill has come up as an ideal wedding destination, with people from as far as Assam, West Bengal coming here to solemnize a divine wedding. 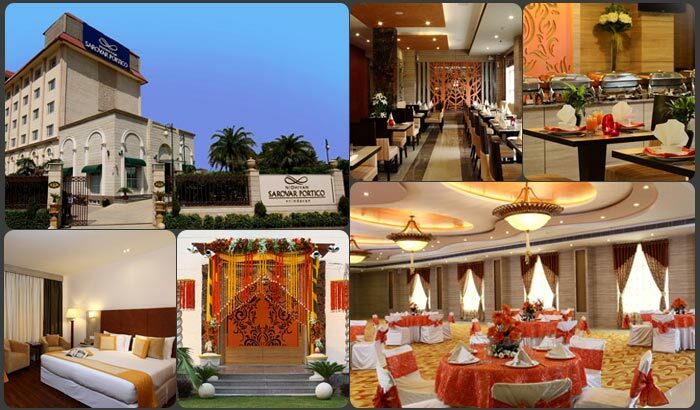 The place has an elaborate arrangement for arranging lavish marriages – a banquet hall by the name Baithak and a club lawn just adjacent to it that can accommodate close to 100-150 people. A marriage lawn of a bigger size by the name Gathbandhan that accommodates close to 1500 people with adequate parking facility is situated in another corner of the resort that has held many marriage functions till date. The resort is also an upcoming destination for meetings and trainings as many well-known brands have chosen to organize company meets and training sessions, away from the hustle-bustle of a bigger city. Just like the ambience, dining at the resort happen to be an equally unparalleled experience. 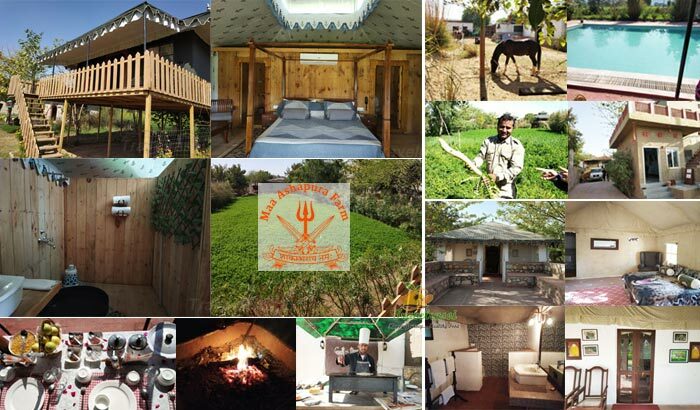 The restaurant, Matki at the resort serves lunch, dinner and breakfast and boasts of dishing out local flavours of well-known Govardhan cuisine to its guests. Since it is an old property, a lot of areas are still under renovation, but once it is completed, the restaurant will have a direct access from the main gate. Depending on the number of guests, Saturday dinner is served as buffet. On Sundays too, there is an elaborate breakfast bouffet laid out. 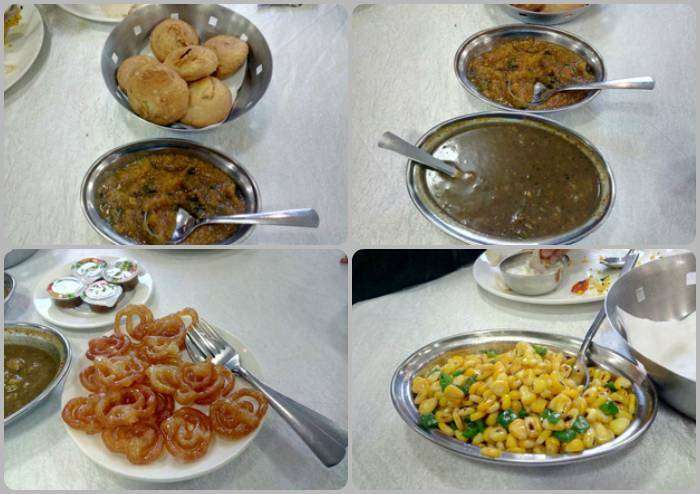 We were fortunate to be present on a Sunday at the resort and were treated to a sumptuous breakfast of kachori, pethe (pumpkin) ki sabji, aloo (potato) ki sabji and jalebi (sweet). “Though not a regular affair, we do organize buffets mostly in the lawn areas for the amusement of our guests. We recently organized a 26th January special bouffet that had the Republic Day theme. 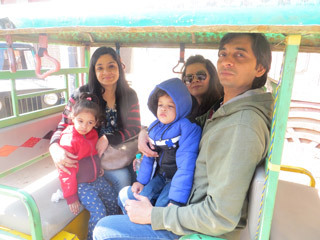 We are going to do it during Holi again,” said Tanya Agrawal, Director, Shri Radha Brij Vasundhara Resort & Spa. The resort also arranges many activities for both kids and adults. 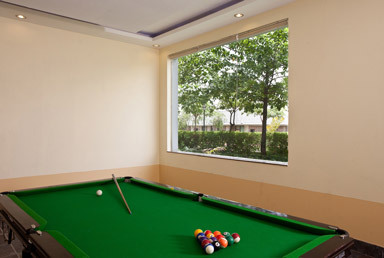 There is a games room that has facilities for billiards, table tennis and air hockey. For outdoor recreation, guests can cycle or even walk around the huge resort and get soaked in the blissfulness of the property. There is an indoor pool area too along with Jacuzzi, sauna and steam bath facilities. The Kids play area is under maintenance at present but once ready will have several activities for kids. For guests who come specially to take the 21 km Parikrama yatra around the Govardhan hill, the resort arranges for an E-rickshaw tour. “We have guests who do the Parikrama yatra daily, weekly and monthly. So it is one of our very popular activities,” Tanaya said. The guests will be accompanied by a guide who will drive them around the Parikrama Parvat (hill) and explain the significance of the place while also taking to the nearby temples and kunds (ponds) that form a part of the Parikrama yatra. 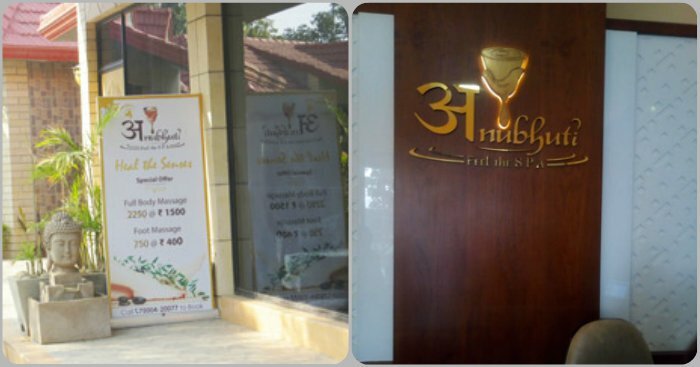 The Spa, Anubhuti is another reason why this place can be recommended. Owned by the resort, the spa has been operational for more than 4 years now and remains open from 8 in the morning to 8 in the evening. Manned by 2 therapists, the spa specialises in offering excellent Thai Foot massage, Foot reflexology, head massage, aromatherapy and the candle massage that uses oil from a melting candle. Vrindavan is famous for celebrating Holi with great fervour and enthusiasm for close to 10 days. Given its proximity to Vrindavan and Mathura and living up to the spirit of this festival, the resort ensures that the festival of colours is celebrated with pomp and gaiety here. Various Programmes are held to celebrate the festival for the amusement of the guests. It is also during this season that tourists from all over the globe flock to this place in great numbers and so the resort leaves no stone unturned in making the celebrations a grand one. This year the resort has specially sold off packages for the residents for 2 days. The celebrations will start from March 1st (Chhoti Holi) that will consist of the evening dinner and then the actual Holi the next day when residents will play with colours (gulal). 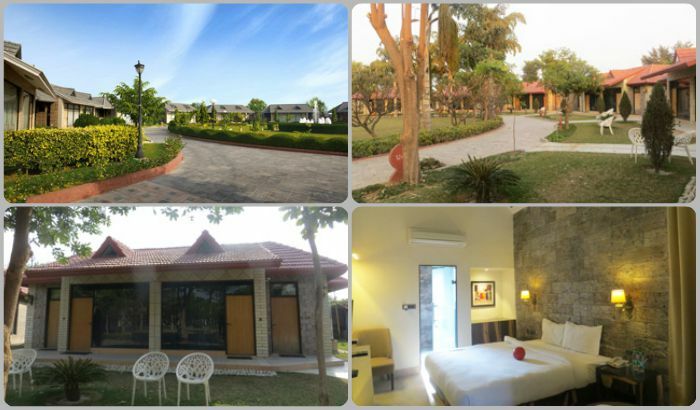 The place is just 3 and a half hour away from Delhi and is easily accessible by road. By train, the nearest railway station is in Mathura from where one needs to hire a cab or take a bus to reach this place. The Parikrama Marg on which the resort stands is however banned for vehicular traffic and guests would have to take a detour to get to the resort. Share the post "5 reasons why you should visit Shri Radha Brij Vasundhara in Govardhan this Holi"